A US auto insurer increased quote conversions in its target market segment by 15% while maintaining profitability using the Earnix Insurance suite. This insurer operates in a multistate environment and wanted to change their pricing in order to attract more auto policyholders in their target segments while maintaining the profitability of its existing portfolio. 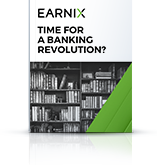 Read the case study to learn how Earnix delivered more than 1% premium growth at the same profit.